Please contact OpenCart for pricing details. Opencart is an easy to-use, powerful, Open Source online store management program that can manage multiple online stores from a single back-end. Administrative area simply by filling in forms and clicking Save. There are many professionally-written extensions available to customize the store to your needs. Pros: You control everything, and you can find plugins to add functionality you do not have... It is great if you want full control, and I have never found there is something I want that I cannot do without a plugin or a tweak here and there. Support is great and often the developers who create the plugins will help you install the plugin for free after you buy it. They normally even do small tweaks for free, and add extra functionality at a minimal cost. Yes, there are many ready built eCommerce platforms like shopify and squarspace, but you will have to pay a monthly hosting fee, including monthly plugin rental. If I could buy a plugin once off on shopify, I would perhaps reconsider, but most plugins are rental only. Shopify has a lot of features, but it does not have everything most people need. So you going to end up renting a lot of extra plugins. Take 10 different plugins on shopify, at a monthly cost of approx $20 each, and you 're going to pay $200 on top of your shopify costs. It all adds up. Bottom line, if you do not mind a learning curve, and you want to keep costs down in the long run, along with full control, OpenCart is the way to go! Cons: Like most software, there is a learning curve. It can be painful all at once, but the more you use OpenCart, the better it gets. Overall: I have had a tremendous experience... I can build my website the way I want, and once I pay for a OpenCart plugin, or theme, I add it to my box of tools that I can permanently use on any of my other sites. The initial setup can be a little daunting, but once you've built your first site, it's fantastic. The plugins and themes are very well priced, and the support is great. OpenCart have addressed previous security flaws in their software, and https://www.tinfoilsecurity.com/ scanned my site and gave it a clean bill of health. I recommend the 'Pavilion - Responsive OpenCart Theme by ThemeBurn | ThemeForest' as you do not need to know how to write a single line of code. It's responsive (re scales automatically) , so you do not have to worry about how it will look on a pc or mobile phone, and you can do almost anything you can think off. Granted that there is a HUGE learning curve, but it gets better as you learn how to work with the theme. Pros: What to enjoy with OpenCart. Even though I have used and developed different e-commerce platforms for various purposes, rarely do I leave a review for any of the software used. My interaction with OpenCart has given me a new experience and view of e-commerce platform development. It would be an injustice to me and the platform to hide my joy which is the push for this review. Having checked on the best alternative that could help support my e-commerce development fully, OpenCart has proved to have every detail that offers control, freedom and choice for any developer. My first interaction with OpenCart was very easy since the software supported perfectly on the little knowledge that I already had. Cons: Unlike most of the other platforms that support starters, OpenCart is an open source and helps you accomplice the development with minimum effort and struggles. I also enjoyed the fact that you don't have to have advanced technical skills in coding to achieve the best of the platform. Even with the basic coding knowledge that I had, I was able to turn the look of my e-commerce around and give my customers one of the best experiences as well as adding more products and payment methods. With the low investment that I had put I place, every solution that I wanted was achieved and that is why I fully encourage the use of OpenCart. The fact that the software is open source comes with some limiting factors that I didn't enjoy fully. Advancing the use of OpenCart after the trial was excellent but the trial version wasn't supportive as the full version when downloaded. Overall: Every detail of OpenCart is user-friendly and it has perfect ways to guide you in achieving your dreams as an e-commerce developer. Upon installation, I was able to enjoy the technical support from the platform and the frequent updates that made me work on my project with ease. Pros: The flexibility and the customization while still being easy to use and understand. It is also mobile friendly. Cons: The extension market - while still providing a whole lot of quality solutions - is still suffering from some low-quality publishers as well as duplicators who are stealing from others. More policing is needed. Overall: OpenCart is regarded as quite the savior for newcomers to the e-commerce industry - this was (is) at least the case for me. The system gives you a solution that is ready-to-use straight out of the box. Through the admin panel, you can change numerous settings including advanced banner setup, pages setup, payments, categories and the lot. If you are curious on how to change the code and customize it exactly to fit your needs, the files are neatly organized in your FTP program so that a newcomer will intuitively know which files changes what. This also leads me to the real beauty of OpenCart - the community and the extension store. The community is superb. If you have any issues or obstacles on your way learning programming and OpenCart, the forum will answer all your questions and lead you on your way. If you do not want to program or design yourself, you can utilize the extension store which is filled with high-quality solutions that you can easily install through your admin panel. I have used OpenCart for years, and I can't see anything equally easy-to-use-yet-highly-advanced that is going to replace it anytime soon. Amateur or pro - just try it, you'll like it. Did I also mention that it is free(!)? Recommendations to other buyers: Seek advice! The forum has lots of guides and helpful people. OpenCart is an amazing software. Easy for develop custom solutions. Great marketplace to buy extensions for good prices. Discounts, Sales, Coupons, Rewards Points. Cons: OpenCart's core upgrade processes are often laborious, but the OpenCart team seems to be working on this, and often offering solutions that allow you to take these weak points to disappear in a short time. Overall: I have been using this software for over 6 years to build ecommerce websites for my clients, offering customized solutions, template design, extensions, modules, consulting, maintenance. Pros: Admin page is easy to use and navigate. Clean and attractive design layout even on default theme. The system is extremely responsive and seems to be great ecommerce solution for small businesses. Although the stock system already comes with the basic needs of an ecommerce site, the marketplace for extensions has a good selection of mods to further expand functionality and design. Easy setup makes opencart a good choice to quickly have a functional, modern, and professional website setup with little effort. Cons: The simplicity of the platform and 'somewhat' limited third party extensions (compared to top competitors), may not be an ideal choice for mid to large size businesses. Backend search functionalities and filters are also limited. Overall: A great choice for small ecommerce businesses. Simple and cheap e-shop system for small e-shops without marketing support. Pros: OpenCart is not as demanding as other e-shops in terms of resources. It doesn't use server sources as high as other apps. You can run it on standard on a shared hosting. There is fairly simple interface so it is easy to setup a shop, very simplified. It can be used by beginners. Simple UI on the back-end and fairly descent front-end makes it easy to use. Cons: Very hard to update or modify. It can just break down and not work even if you roll out backup of the previously working site. SEO is terrible even with paid plugins. To make addresses and descriptions work is so hard. Never made it to work completely as it would on standard shops Magento, or Wordpress. One-page shopping is not working well even with paid plugins. Marketing options are very limited and hard to find, such as follow up emails, up-sell, cross-sell, promo codes, tracking. E-shop are used for selling primarily so one would need to offer as much as possible to clients, similar products, suggested products, to give reward points and to send customized offers. There are no easy integrations, such as Zappier, MailChimp, login via social network accounts etc. Overall: This product works well for my low and middle class e-shops which offer limited number of products, mostly in the same category, with a smaller budget for running and promotion. For the more advanced needs, this system cannot offer enough functions and there is not enough resources for customers. Free version is too simple. For some results, paid themes and plugins are needed. Then e-shop may generate some income. Pros: It's easy to use and really fast. You can easily build a shop with thousands of product without paying a flrtune on hosting. It is SEO promising with built in SEO customization. Its also an independent framework by itself which I found pretty interesting as I am developer as well. Last but not least there is a big community supporting it. Cons: Sometimes in a hurry on publish new releases which leads to bugs. And forum members (some of them) can be really aggressive . Setup your own online store to sell your products. Pros: Open Cart is software to use create store online for sell products. It have approximately all required features which are necessary for a store owner. Open Cart is available in different languages and have a large amount of extensions to customize the store. Themes are also available or you can customize current theme. It gives you all controls over your store. Cons: Some features hard to understand and handle. like mega menu is not easy to understand and without mega menu store looks not good in my thoughts. Overall: I used the Open Cart for a long time to run my store online. Saved my time and money to develop self store using coding. Overall: I have been developing with OpenCart for 5+ years now and a lot of my e-commerce clients are using it and getting great sales because of it. It is easy to use for the non-techie once everything is set-up. It has a large set of features in the default set-up and there are thousands of extensions/add-ons available and thousands of themes, what's not to like. Cons: Not being the most developed online cart system it has his drawbacks, many upgrades and modules are not developed for opencart. Depending on your needs and expectation you should consider more options, depending on what you need. Pros: Website administration is easy-to-use and non-technical clients can easily find what they need. Great basic set of features making setup of website fairly easy to get going. And of course the best part of OpenCart, it's free to use as open-source software. Cons: Extensive customization can get costly with extensions. Some security issues with some of the extensions, so choose wisely. Outdated templates/themes. Not a good choice for larger shops as it will slow down considerably. Overall: For a basic e-commerce website for a small shop, OpenCart can be a decent solution for self-hosted. Clients are always happy with the easy to use administration and find intuitive. As a developer, its been fairly easy to modify code. I typically recommend other software over OpenCart, but overall it's a decent platform to start out with. Pros: We absolutely love that it is initially a free platform. Competitors charge for the platform and then charge for features, but OpenCart has a wide range of extensions that perform what you want, the way you want. High-quality platform-wide access to have a large amount of customization and control over your store. Cons: We do not favor how limited the base platform is on shipping integration, fraudulent order monitoring, or promotional sale control. These are all available as add-ons but are necessary for the majority of businesses, even when they are starting out as a new company. 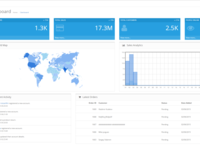 Overall: This software is our go-to recommendation for companies that want the most customization without recurring fees impacting their monthly profit margins. Keep in mind it may be a little more pricey to start out with your necessary extensions, but you won't regret your choice (as long as you install extensions as instructed). Maintain your site and your site will maintain your income. Pros: Free, open source and it is very easy to find its developers. Support is very friendly and when ever I ask question they answer promptly. Overall: My online store growing day by day. Thanks to Opencart. Custom development is not very expensive. And Support is very friendly and when ever I ask question they answer promptly. A very good ecommerce web app with a great comunity. Overall: I get a secure and reliable ecommerce store base for my customers. Pros: I am running a successful store using opencart from past 5 years, extra modules can be easily installed using vqmod. Working with OpenCart from last 3+ years. Developed many extensions for extend functionality. Pros: Ready to use e-commerce software. Just install and upload your product information and publish your store to world wide. Cons: The support from the vendor should be improved. Improve documentation for better way to how to do it. Pros: A virtual store with lots of integration options, safe and very fast is what we always need. Do not think that all are like this, but many customers who make use of it always look for this. This can handle in a professional manner and with highly accepted language in the PHP market. Cons: Some payment types have not yet been programmed for the platform, we still depend on programmers to program Brazilian payment solutions, but there are already several that can already be used. I believe time may come more. Pros: The platform has a huge number of useful features that we managed to use quite easily after a short study time. The Internet has a huge amount of educational materials. Cons: After being removed from the site, the pages are still being indexed by search engines for a sufficiently long period of time. A bit complicated folder structure. Pros: On this platform, I was making my first online store. Having learned the order of prices, I refused the services of specialists and decided to do everything myself. The project is still working and OpenCart has become my reliable assistant. The main thing that I want to note, the system is easy to learn and free (there is a paid version, but this one will be enough for your eyes to start). Cons: Over time, the functionality of the free version begins to be missed. As they say, hunger comes with eating. Pros: Manage an online store in this system - a pleasure, because it is just for this case. 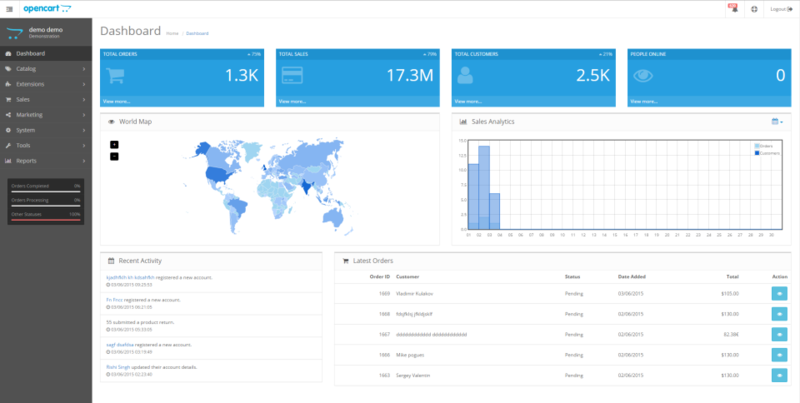 It is possible to create reports, analyze customer behavior and much more. A strong Russian-speaking community, that is, you can quickly get an answer to any question. Let's just say, although I'm an IT specialist, but I've never dealt with CMS and site configuration before. And then I tried OpenCart and was able to appreciate it. Cons: The downside of CMS is the impossibility of creating any other sites, except for online stores. And also there are many technical problems: remote pages are poorly indexed, sometimes duplicate files are created, and so on. Want to open basic ecommerce platform qucikly? Pros: If you have even a modicum of coding knowledge and want to launch an ecommerce platform in a short amount of time, Open Cart is a great base for beginners. As a coder I prefer writing custom ecommerce platforms. But, some clients don't want to spend the time or money waiting for a custom platform. Thise customers get Open Cart. Plain and simple, this software is my go to base to help clients launch their store in the most time and cost effective manner. Cons: Installing updates is a bit of a challenge. I recommend waiting a few months after each software update so their coders can work out any bugs and connectivity issues. Pros: This platform simply saved me at a time when I was still a student, I was studying Web technologies and I did not have the money for a paid engine. Having considered the options, I decided to stop at creating an online store. Maximally saving at the start, I soon learned to bring projects to the international level. Cons: Free version is a good solution at the initial stage, when you just go through training. But, starting a serious project, it is not even worth considering as an option. Overall: I used Open Cart for 3 years and have found it great for creating my online store, many of the features are free but there are some small upgrades that have small costs. Pros: Opencart is a very powerfull software that has a lot of users who use it for online shops. 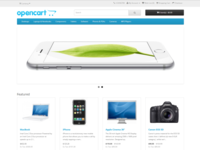 You can relly on Opencart for a lot of traffic, being very reliable and with a good design for the administrator. The templates are widely available and not only on the main website, they are developed from third parties. Pros: This is a great free engine, which you can understand without knowing the programming languages. Convenient, and most importantly clear interface, easy installation, a lot of training materials. Great program for creating an online store. Cons: Many of my colleagues complain that it is impossible to work with OpenCart without having a programmer on the team. But I do not agree with this! Pros: OpenCart is very easy to deploy and includes a lot of great features out of the box. There is a great number of additional plugins available via the marketplace to extend this functionality. Cons: Very few cons in regard to the purpose we have selected OpenCart for. Email handling could be improved to avoid potential spam ratings, etc for the system. Pros: Open cart is a great cms /e-commerce application for a quick online store set up. The back end is easy to learn and has all the functionality one requires to operate a profitable online store. Cons: Customisation is not straight forward as far as creating your own themes and store designs. The application comes fit with great templates that can be used in the interim. Pros: If you are creating your online store, then, in my opinion, OpenCart is a convenient and simple platform for these needs. A simple store can be created in just 10 minutes, you will only have to add the goods and all. What you like, is the speed of the sites on this engine. Pages open instantly, the goods are loaded very quickly and conveniently. Cons: I had problems only with the addition of pictures of goods. Rather, it was not a problem, but just an inconvenience, since the images had to be added to the server first. - easy to learn the basics, not impossible to learn even more. - some say bad customer support, but no personal experience in this regard. Overall: Shifted to OpenCart from an aging Prestashop. Gave a try to other software along the way. OpenCart, which is just about right in everything. OpenCart is easy to set up, it is lightning fast (you will see how important this is sooner or later), it has a million extensions which are not too expensive. 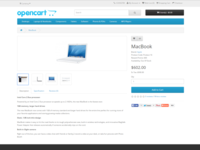 From my experience, OpenCart is also quite easy to learn and manage on my own. It is definitely not perfect, but better than the immediate competition if looking for cost effective though feature-rich eCommerce solution. Bottom line: Recommended. At least give it a try and place on your shortlist. Recommendations to other buyers: This is my choice of platform for several eCommmerce websites. What else could say more? Pros: I've been using this CMS for a number of years already and I've been able to appreciate its strengths and weaknesses: it's free, easy to learn and has excellent support on the forum. 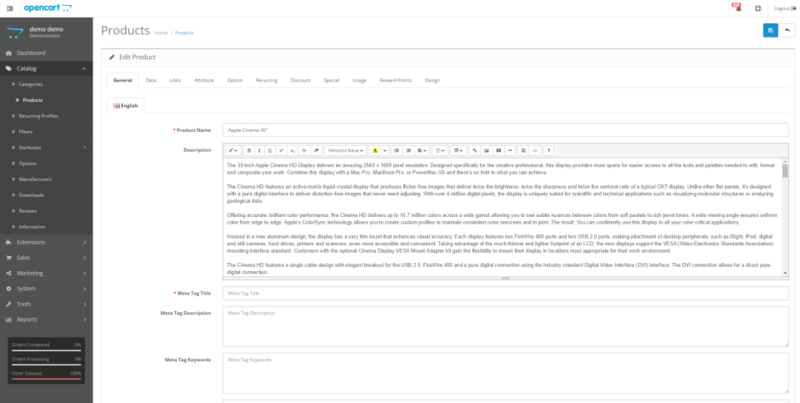 It has open source code and a comfortable control panel, through which it is easy to perform all actions on the site. Cons: Opencart has a truncated functionality in the base version. For minimal needs, this is quite enough, but gaining experience and comparing these analogues, this will seem very little. Pros: We have created several client online stores that run CMS OpenCart. The main advantage of OpenCart is that it consumes much less server resources than other CMS. This ensured stable work, despite the fact that more than 1000 products are sold on each of the sites. Cons: Deleted pages continue to be indexed by search engines for a long time. Once the deleted page continued to be indexed for another 8 days, and we received daily calls from users who could not access the page. Pros: The engine for those who like and I want to save money on the launch of an online store. It's better to invest in promotion, especially for newcomers. This engine will ensure your business a quick start and this is what you need at the start. I recommend to try. Cons: It is necessary to spend a lot of time to understand from scratch, but will save money. The basic version has a number of limitations, but this is not critical at the initial stage. Then you can change the tariff. Opencart is the best Store Management System ever. 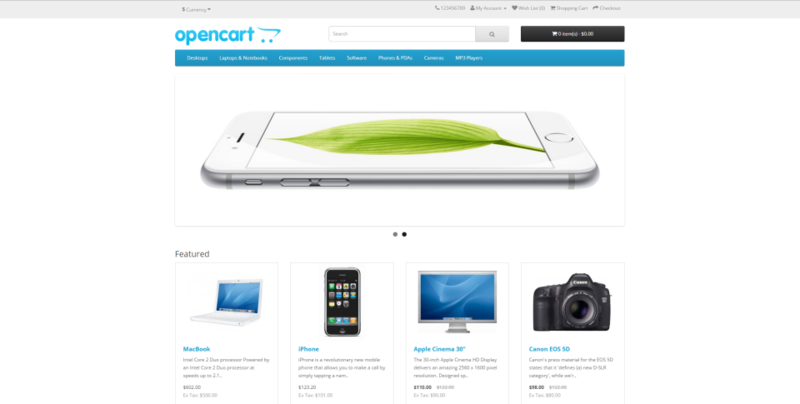 Pros: It is very easy to manage your online store using OpenCart. It gives many designs which is easy to integrate and manage. All the pages from product listing to checkout looks professional and even we could edit it in the back end.It is the best open source Store Management System I have ever used. Cons: At first, it takes some time to get familiarized with the functionality. And the folder structure is little complicated. Overall: I have been using OpenCart for the last 1 year.It is very easy to integrate and manage your online store using OpenCart. It has a variety of designs which looks professional.Even it can be edited with out much effort for a developer. Free and easy ecommerce with lightweight muscles! Pros: Easy, intuitive and mostly problem free (just minimise usage of external plugins). Cons: Not scalable for professional use (we're talking millions of dollars yearly sales). To simple code that could be problematic to scale for serious businesses looking for "metrics" and ways to "show" them more effectively. Go for other software or similar if already big, but start with OpenCart if your business is currently small. Overall: It's open source and free, so anyone can be up and running with this lightweight champion of an ecommerce. If you're a beginner or a startup looking for an effective ecommerce solution that will sell both physical and digital goods, this is it. My first ecommerce venture scaled with this solution and was easy for my first employee to learn fast and very easy to maintain, even security updates are now hassle free! You got a few dollars for hosting and you can install this great piece of software. If you want to start in online stores, OpenCart is for you. Pros: It offers its main tools for free to start creating your stock of products, according to your online business. At the time of development, it offers really fantastic tools, therefore, it does not require to be an expert programmer, but on the contrary, with basic knowledge of tools and design management, in addition to knowing well their products ... Puff is available in line . In addition, positioning is possible thanks to its small internal and automated robots so that your products are not lost in the ocean. Cons: OpenCart updates are never completed, and the online store is often not up to date in terms of design. Overall: When you want an online store, with little coding and great impact. OpenCart is the solution, our customers are satisfied with the results they obtained and we too. Pros: The solution is very good and covers many pain points and functionalities required for running a simple online store. For me this is the one for selling online. Pros: Everything you need to build any type of e-commerce website. 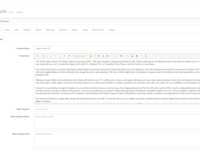 The v2 and v3 admin layout could be better, it can be confusing due to changes made to modules section and theme management. Overall: I have been an opencart user for over 5 years, almost 85% of the online store I build for are using opencart. I love everything about opencart, it has all the features you need by default and it is affordable to extend with plugins and extensions. I love the system code layout, it is easy to learn and modify. If you want to build an online store this should be on your top list of consideration if you're looking for speed, security, and easy learning curve. Pros: Helps to save those who are just starting, while I, as a beginner, pretty quickly figured out everything. A lot of necessary information is freely available. It is enough to be able to use the search. In terms of its capabilities, the system is in no way inferior to analogs. Cons: I want to increase resources, but I will have to switch to a paid tariff. Standard features are not enough. Cons: The support from the actual publishers could be improved. Most cases when it comes to storefronts any issues that arise will lead to a loss of income. Overall: Personally I am a fan of easy click by click setups with great results. 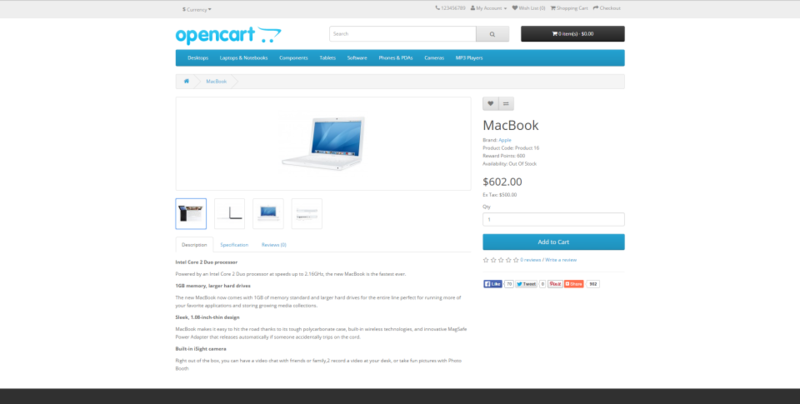 Open cart is a simple and easy to use web based storefront . With its use of themes and templates creating a new site is extremely easy to accomplish. Managing the back end as well is also quite simple for the non technical. As an administrator I would like to give my customers a certain amount of control over their sites and Open Cart allows this. Their customer support tho still needs some work as sometimes you get little assistance to problems. I do like though the number of support blogs and forums with other administrators, you are guaranteed you are not alone if ever you encounter a problem. Recommendations to other buyers: Try it, it is a quick and hassle free way to have a storefront running. Pros: The administrator interface is made in an easy and simple manner, that is, you do not have to understand much. A huge number of ready-made templates leads to the fact that you can run your own online store without significant financial expenses. Cons: Modules that are installed by default are not enough to provide quality service. Many functions we have to look for and buy. Pros: Fast, easy to install. Good technical support. Great for SEO - there are built-in tools, for example, generating an XML sitemap. Clear interface. Cons: Most of the modules are paid, but they do not always work as they should. Not suitable for large projects, creates a high load, which affects the operation of the site. Have to spend time learning the interface. Pros: We made a website for a large company on OpenCart. We had little knowledge of the system, so as we were created, questions and problems arose. It is very good that there is a lot of information on forums, blogs and forums. All the problems were solved without delaying the delivery deadlines of the project. Cons: Since the service has a lot of features, we had to spend more time than we planned to deal with them. And then I had to work at an accelerated pace to be in time for the deadline. Pros: The product is constantly evolving and improving. Technical support responds promptly, helping to solve all emerging issues during use. The platform is great for beginners. Cons: This is one of the most difficult platforms I've come across. The free version is good for learning at the initial stage, but for a serious project it does not fit at all.